Picasso isn’t just an artist – he’s an industry. A new exhibition at Paris’ Grand Palais, however, endeavors to make sense of the man and the myth, through both his own work and that of his countless protégés. 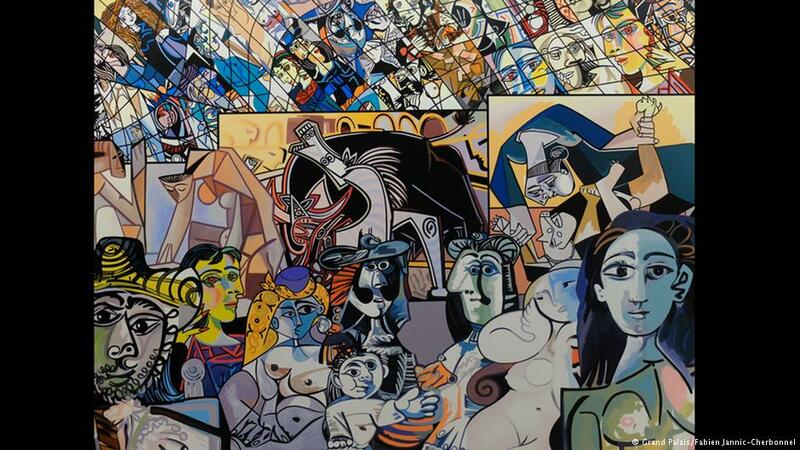 From paintings, to sculptures and videos, from cubism to surrealism, Pablo Picasso has done it all. It’s no wonder then, that his works have inspired many artists, from Andy Warhol to David Hockney. And while the Spanish master seems to be an endless source of inspiration for artists, he is also for curators around the world. Paris, where Picasso lived for a number of years, seems to vow an undying love for the artist, with yearly exhibitions of various aspects of his career. The latest of those exhibitions, “Picasso.mania,” is hosted by the French capital’s Grand Palais. Co-curated by Picasso’s granddaughter Diana Widmaier-Picasso, the exhibition showcases 400 works by 75 artists, including Picasso himself. The idea, according to Widmaier-Picasso, was to highlight the master’s lasting influence on art itself, both throughout and after his life. “This exhibition allows us to understand how artists view Picasso’s work,” Widmaier-Picasso says. The 15 rooms at the Grand Palais are organized by themes, with some of Picasso’s paintings hung alongside the art it influenced. But what is it about Picasso that makes him a figure the public can’t seem to resist? There is, of course, the disruptive quality of Picasso own work: his first years as a cubist painter, his portrait period in the 1930s or his surrealist period. Pablo Picasso has offered artists several artistic codes, says Emilie Bouvard, curator at Paris’ Picasso Museum. As an example, David Hockney’s “Paint Trolley” – part of the Grand Palais’ exhibition – clearly shows the inspiration that the British artist drew from Picasso. Each section of the exhibition explores a different side of Picasso’s life and work. One of the rooms is entirely devoted to “Les Demoiselles D’Avignon,” one of his most famous paintings. While the curators chose to display Picasso’s “Femme aux mains jointes,” a study for Les Demoiselles, it is accompanied by re-interpretations from Faith Ringgold and Sigmar Polke. ‘Whether you like him or hate him, you can’t avoid Picasso’. But what is most striking: from all the paintings and sculptures gathered at the Grand Palais, it becomes clear that Picasso the man is as much a source of inspiration as his work is for other artists. 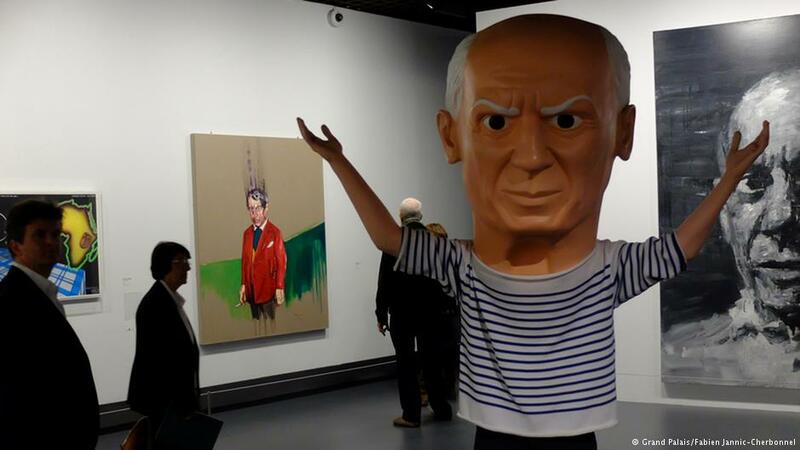 The big-headed sculpture by Maurizio Cattelan, placed at the beginning of the exhibition, pays tribute as much as it mocks Picasso’s public persona and his world famous marinière striped sweater. “There’s a fascination for the man. He himself created this persona,” Bouvard offers. With Picasso’s death in 1973, and after a decade of criticism that the Spaniard “had lost it,” Picasso is very much a superstar once again. Far from hiding this fact, the “Picasso.mania” curators say they wanted to show artists interacting, answering and criticizing Picasso. British artist Thomas Houseago has been heavily influenced by Picasso. What’s left of Picasso now for other artists is a master who will always be faithfully remembered, yet at the same time, one you can joke about and even criticize. In one of the rooms of the exhibition, there’s a piece of the famous Xsara Picasso car from French company Citroen: a work of art by Bertrand Lavier called “Picasso Outremer.” It plays with the idea that Picasso has almost become a brand. 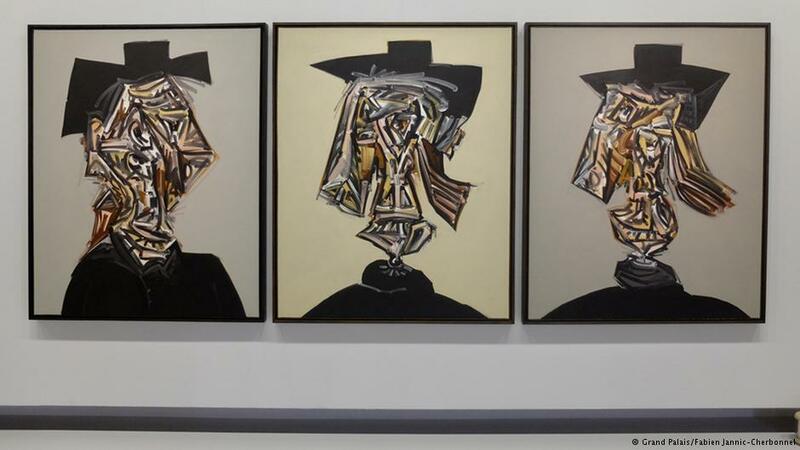 With the 60,000 paintings and sculptures he produced during the span of his life, the Spanish artist left not only a body of work but also an energy that inspired many. 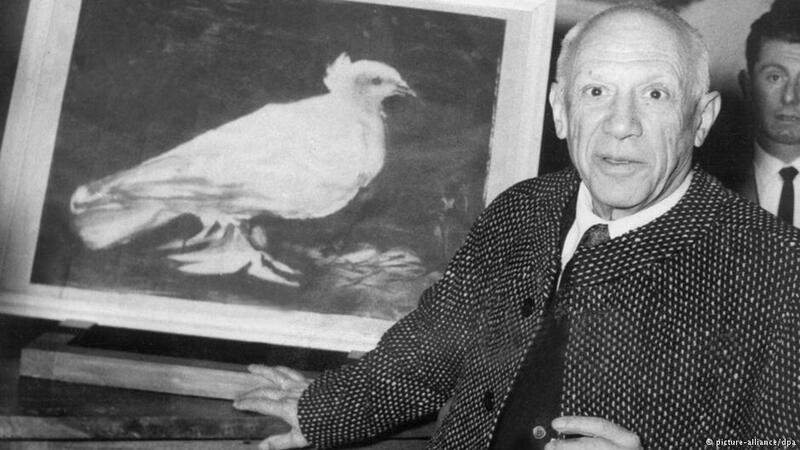 And according to Widmaier-Picasso, there is still a great deal more to the Picasso story: “Lately, his late work has been under the spotlight,” she concludes. “Picasso.mania” runs at Paris’ Grand Palais until February 29, 2016. Previous Entry ¿Por qué lo llaman Aladino cuando quieren decir Picasso?